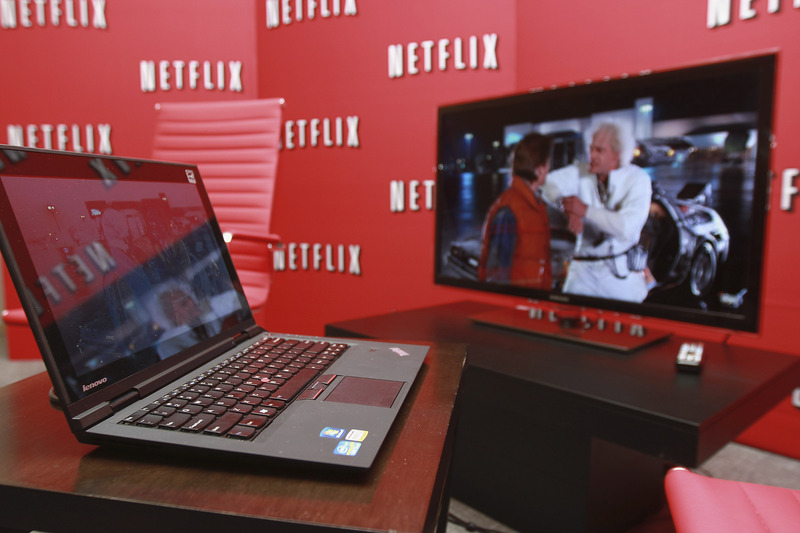 Surprise, surprise: Americans like to watch TV shows online. A new report published by comScore breaks down the TV show–watching habits of more than 1,000 people, and as you might expect, Netflix is the overwhelming favorite when it comes to watching our favorite shows online, beating out other top contenders such as Amazon Instant Video and Hulu Plus. Let's take a look at the numbers, shall we? The study, conducted last month from August 21 to August 24, explored which digital video subscriptions people used and how often a month they binge-watched episodes of their favorite shows. While the study's findings aren't exactly shocking (millennials love to succumb to the occasional Netflix marathon — really?!? ), it still offers valuable insight into the changing landscape of how media is consumed, especially television. The format of the survey was an online questionnaire, so even comScore admits that its information might be skewed to be more biased toward Internet users and may not form the whole picture when it comes to the TV-watching habits of the general U.S. population. Still, it's an interesting peek at where the future of television might be headed, from a consumer's point of view. Millennials (age 18 to 34) are more likely to watch television on alternative digital platforms (such as their computers, tablets, or smartphones) than other age groups surveyed. Only 66 percent of millennials watch TV shows on a traditional TV set compared to 84 percent of 35 to 54 year olds, and 90 percent of surveyors 55 and over. Among all three age groups surveyed, Netflix is the most popular digital platform for watching television, especially among the millennial age bracket. When it comes to binge-watching TV marathons, 42 percent of paid digital subscribers and non-paid digital subscribers alike admit to binge-watching episodes once or twice a month. Only 15 percent of paid digital subscribers said they binge-watch shows six or more times a month. The reasons people choose to watch TV shows on the Internet center around convenience. When comScore asked participants the main reason why they watch television on the Internet, the top two answers were “prefer to watch on my own schedule” and “it’s more convenient." Honestly, most of the information gleaned from this study isn’t too surprising, especially when you think about how often digital subscription programs like Netflix are referenced in everyday conversation and across the Internet. Convenience really is a thing to be valued in this day and age, and major television networks are starting to realize that if they want to keep up with trends in media, they are going to need to provide alternatives to people who no longer have time to glue themselves to their television sets to watch their favorite shows in real time. Can't tune into Scandal Thursday nights? That's okay — you can catch the latest episode on ABC.com. In the future, I'd like to see a study that not only focuses solely on digital-watching habits, but really gets down to the nitty gritty details. TV-watching habits can be indicative of our changing behaviors as a society, and the difference between families gathering to watch TV and people huddled before their computers by themselves for hours upon hours might be an interesting one to study. Have you ever told your roommate you were going to sleep just so you could continue watching shows by yourself in your room with your headphones on? No? Oh, um, me neither. Are there any other questions you'd like to see in future studies?